Can geek be chic? Just take a look at these 12 totally geeky home furnishings and décor, and you’ll be convinced – even if you don’t have computers on the brain. 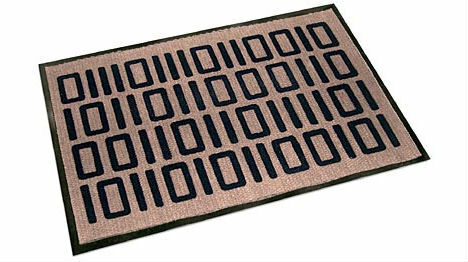 From doormats that read ‘welcome’ in binary to a bench covered in 2,000 recycled computer keys, these digitally-inspired designs speak geek in subtle ways that would be at home even in a non-geek’s modern abode. If you’d like to enter, just press… enter. 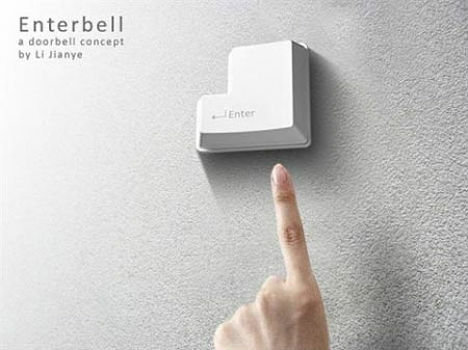 This doorbell, modeled of course after an oversized ‘enter’ key, will give you an idea that you’re stepping into a house of geek before you even walk in the door. 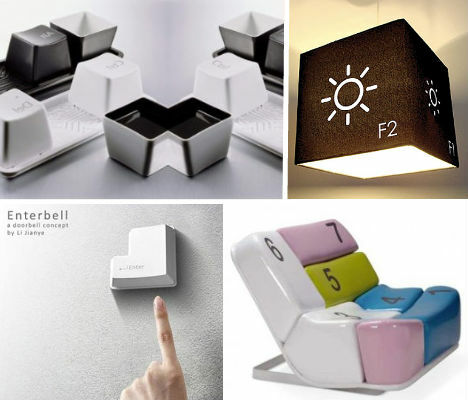 While this design, by Li Jianye, is just a concept, it would be super easy to DIY. 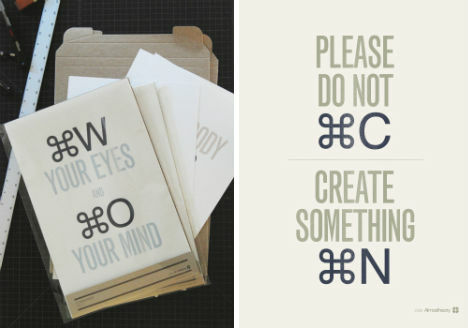 Binary: it’s like the secret language of geeks (as opposed to Klingon, which is more of the dork persuasion). ThinkGeek says it “tests intelligence of guests to your home”, and indeed, while your programmer friends will get a laugh, everyone else will just think it’s a cool minimalist design. Geek chic can be sleek and modern, too – take, for example, this chair by Simone Mitchell. The curved shape is simple and comfy-looking, but what really makes it stand out is the keypad design with pink, yellow and a pretty blue-green thrown in to brighten it up. Minimalist modern chair, or cheeky reference to a computer cursor? The pointer table by Modnest is both, and can be used alone or arranged into benches to play up the design or make it more subtle. Made from painted wood veneer, the table is available in black, white and orange. From a distance, it’s a subtle silhouette of a bare winter tree. 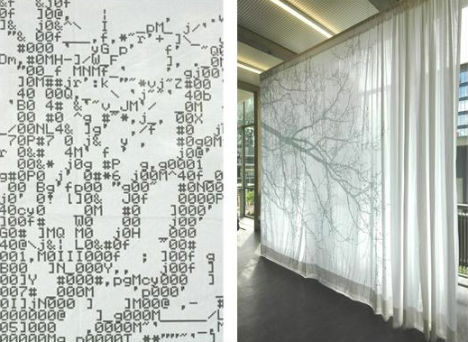 But get up close, and you’ll see that this is no ordinary design – the tree is made with the letters and other characters of ASCII, a character-encoding scheme used for text on computers. Dutch designer Nieke Sybrandy was inspired by the ASCII-heavy computers of the 1980s. 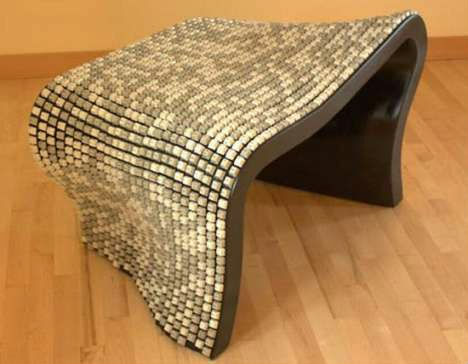 It took 2,000 recycled keys from computer keyboards to create this unusual undulating bench by designer Nolan Herbut. It’s pretty to look at and ergonomic to use, but perhaps the coolest thing about the Wolfgang Keyboard Bench is the fact that the keys can still be pressed, making it all too tempting to play as you relax. Need to reboot your living room décor? 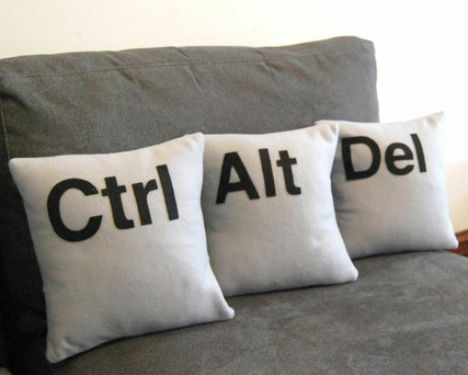 There’s no better way than CTRL-ALT-DEL. Unless, of course, you’re a Mac, in which case Command-Option-Esc is the way to go. Both are available as sets of three throw pillows from Etsy seller diffractionfiber. 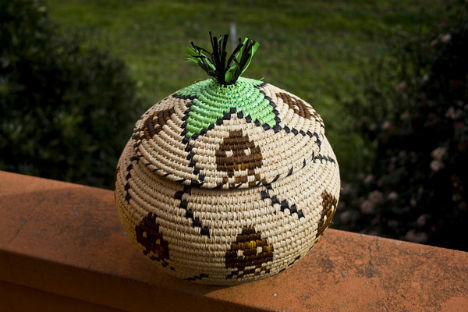 If you love the old computer game Space Invaders but aren’t a big fan of streamlined modern design, this basket by Alberto Seveso is a fun, rustic, eco-friendly way to pull a reference to the game into your interior décor. 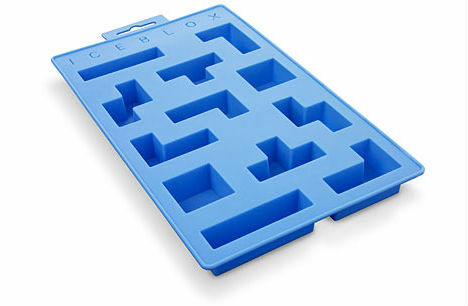 ThinkGeek calls them ‘puzzle blocks’ but we know what the shapes in this awesome ice cube tray are really supposed to be. Play a quick game before they melt, throw them into a bowl of punch or make totally nostalgic Jello shots for a party. Turned upside-down on a circuit-board-embossed tray, these little PC keys look exactly like an oversized replica of the real thing. Created by Taiwan’s MOD Design, the ‘Reset Cups’ set of three ceramic mugs would look awesome sitting on a counter (if only they were available – they were just a concept design for the 2008 Maison + Objet design show in Paris. 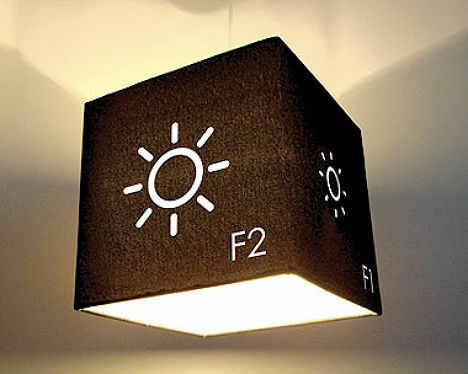 Just like you would on your Mac, brighten up your home with the F1 and F2 keys on this fun handcrafted fabric-and-wire lampshade by Meninos.